Donald Szantho Harrington offered one of the most distinguished and far ranging ministries of the 20th century. His leadership as preacher, activist, pastor, institution-builder, and theologian, as well as his service to the denomination and wider community, reflected his devotion to liberal religion and to social justice. From 1944 to 1982 and thereafter as Minister Emeritus of The Community Church of New York, he built upon and expanded the visionary ministry of John Haynes Holmes. One of the foremost legacies of Don Harrington’s ministry was the continued and expanding racial and economic diversity of The Community Church congregation with its vision to embody the Beloved Community and the Church Universal. During his service at Community, he oversaw the completion of a new, modern church building and the acquisition of adjacent buildings with meeting spaces for an expanded Sunday school, adult religious educational offerings, and community programs and groups. In 1952, he was among the co-founders and first co-chairs with A. Philip Randolph of the American Committee on Africa, whose support for the African National Congress and leadership with economic sanctions helped to make possible the election of Nelson Mandela as President of the Republic of South Africa in 1994. His social justice work has been far ranging and included leadership in the civil rights movement, early opposition to the Vietnam War, and progressive politics. The Unitarian Universalist Association recognized him with the Holmes-Weatherly Award in 1983. He was also a significant leader in the merger of the American Unitarian Association and the Universalist Church of America, and he prepared the service of union and offered the sermon in 1960 at Boston’s Symphony Hall. As a theologian, Harrington has promoted the thought of Henry Nelson Wieman and was a co-founder of CASIRAS, the Center for the Advanced Study In Religion and Science. In addition to his own contributions in elaborating a scientific theology, beginning in the 1950’s Harrington also pioneered in celebrations of the Church Universal as part of the worship year at Community Church. These interfaith services not only continue as part of that worship calendar, but also influenced worship life in UU congregations across the continent. During his retirement ministry from 1982 until his death in 2005, Dr. Harrington was active with economic development projects and publications that assist the Unitarian and other villages in the Transylvania area of Romania. Donald Harrington. Courtesy of the Community Church of New York. Born on July 11, 1914, in Newton, Massachusetts, Donald Harrington came from an old New England family whose forebears were among the earliest settlers in Watertown, Massachusetts, founded in 1630. As a child, he attended the Unitarian Church, where his mother was especially active. Having decided upon ministry during high school, he first attended Antioch College because of the presence and progressive vision of its president, Arthur E. Morgan. 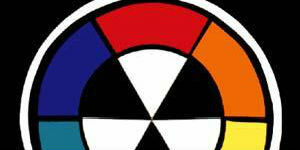 After three years, he transferred to the University of Chicago where he received his Bachelor of Arts degree in 1936. He then entered Meadville Lombard Theological School and began a two-year student ministry in Hobart, Indiana. Upon graduation in 1938 with a Bachelor of Divinity degree, he received the Cruft Traveling Fellowship that permitted him to study at the University of Leyden in Holland. While in Europe he traveled widely and visited the universities at Marburg, Kolozsvar, Oxford, and Cambridge. Ordained in 1939, he first served the People’s Liberal Church in Englewood, Illinois—on Chicago’s South Side. During his final years of seminary, he met fellow student Vilma Szantho, who had completed her theological studies in Transylvania and was a postgraduate student at Manchester College, Oxford University. 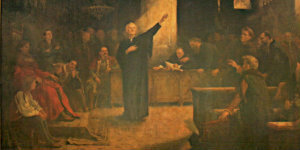 Vilma was the first woman to be ordained to the ministry in Central Europe. The couple married in 1939 with the Bishop of the Hungarian Unitarian Church officiating. 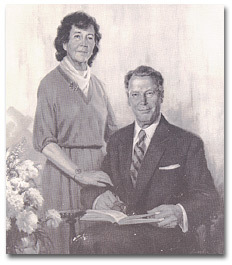 In 1942 Don, Vilma, and their congregation founded the Unitarian church in the Chicago suburb of Beverly Hills. During their Chicago years, from 1939 to 1944, they had two children, Ilonka Vilma & Francis David Harrington, and shared in the ministry of both congregations. 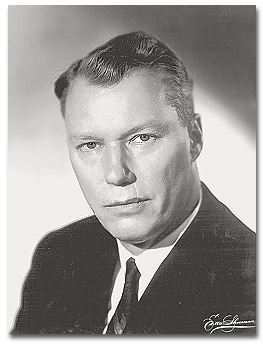 In June of 1944, Donald Harrington accepted the invitation of the Community Church of New York to serve as Junior Colleague with Dr. Holmes in the ministry of the church. In addition to joining Dr. Holmes in the preaching ministry at Town Hall, where the congregation had been meeting for almost a decade, Harrington focused on institutional life, religious education, and pastoral care. One of his primary responsibilities was guiding the fund raising for completion of the new church building, whose cornerstone had been laid in 1940. The unfinished basement offered modest meeting space, but further construction had to be delayed until after the end of World War II. With the new building and Harrington’s leadership, an active congregation flourished with revitalized programs in children’s religious education, adult forums, classes and fellowship opportunities, as well as social outreach programs, including the Community Nursery for working parents. He helped to organize the second oldest Funeral/Memorial Society in 1947, as well as an active chapter of the United World Federalists, for which Harrington would eventually assume national leadership. 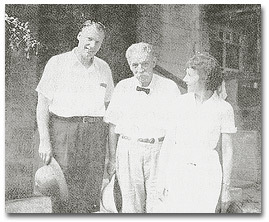 Don and Vilma in Africa with Dr. Albert Schweitzer. Courtesy of the Community Church of New York. In 1949, the year following the dedication of the new building, Dr. Holmes retired, and the congregation called the Reverend Donald Harrington as its Senior Minister. Institutionally, the church continued to expand programs and began to purchase adjacent brownstones in order to have space for its activities. In addition to housing the American Committee on Africa (the earliest and most effective anti-apartheid organization in the United States), the church has provided offices and space for the African National Congress, the American Indian Community House, Theater Off Park (off-off Broadway), the African Services Committee, the Unitarian Universalist Service Committee, Rissho Kosei-Kai’s Horin Center, a nightly shelter for homeless men, and The Community Art Gallery. In 1960 in a unique display of interfaith cooperation, the newly formed Metropolitan Synagogue began to meet at Community and continues to do so, forty years later. Embracing a vision of the Church Universal, Harrington began special worship celebrations to honor the insights, spirit and wisdom of various major religions. These included a High Holy Day Sunday (during the Jewish Days of Awe) plus a Seder with universal Haggadah; a Good Friday Tenebrae service adapted from Christian traditions; Hinduism’s Divali Festival of Lights; and Buddhism’s Wesak that commemorates the birth, enlightenment, and death of the Buddha. The Community News, the church’s newsletter, and the Community Pulpit sermon series helped to promote these as they went to a wide mailing list of congregations and ministers. Beginning in the 1960s, Harrington’s preaching reached tens of thousands of New Yorkers through the live broadcast of Community Church worship services over WQXR, the radio station of the New York Times. Harrington also served as a columnist for and as a member of the Board of the Saturday Review/World, a magazine edited by Norman Cousins. 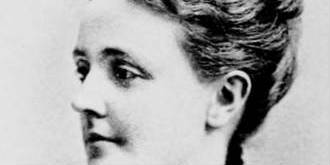 He was also the author of numerous articles in various journals and periodicals. During his ministry, Harrington helped to bring the congregation into greater contact and collaboration with the American Unitarian Association. Dr. Holmes, who had resigned his ministerial fellowship in 1918, resumed his Unitarian affiliation in 1952. The congregation once again sent delegates to the annual meetings and became active with the AUA. It also began providing building loans to UU congregations in the 1960s, provided scholarships to UU theological students, and endowed the Sophia Lyon Fahs Center for Religious Education at Meadville Lombard Theological School. Don and Vilma. Courtesy of the Community Church of New York. Denominationally, Harrington served on the last Board of Trustees of the American Unitarian Association and the first Board of the Unitarian Universalist Association. His sermon, “Unitarian Universalism—Yesterday, Today, and Tomorrow,” at the service of merger in 1960, articulated an inclusive vision of the Church Universal. Although controversial at the time for some of the Humanists and Christian Unitarian Universalists who expressed concern about a syncretistic approach, this inclusive theological stance received wide embrace in the following thirty years. For the 1963 Free Church in a Changing World study, Harrington chaired the Commission on Ethics and Social Action. He is the author of As We Remember Him—The Jewish Jesus, Religion in an Age of Science, Outstretched Wings of the Spirit—a UUA Meditation Manual (drawing upon the writings of Henry Nelson Wieman), and Modern Humanity in Search of a Myth. In addition, he served as a member of the Boards of the Unitarian Service Committee, the Universalist Service Committee and the UU Service Committee. Another lifelong commitment has been to the International Association for Religious Freedom, whose magazine for young adult members he founded and edited in 1938. 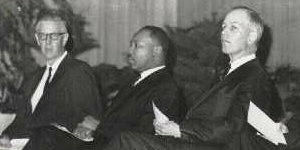 In 1968, with co-leadership of his Black Chairman of the Board of Trustees of The Community Church and others across the continent, Harrington helped to found BAWA, (Black and White Action), to support those in the association who wished to have racially integrated programming and activities. The Community Church had been racially inclusive during the ministry of John Haynes Holmes, and upholding the value and vision of racial integration was deep-seated within the congregation. Notwithstanding that history, guest speakers included diverse points of view, such as the debate between Malcolm X and Bayard Rustin in 1962. 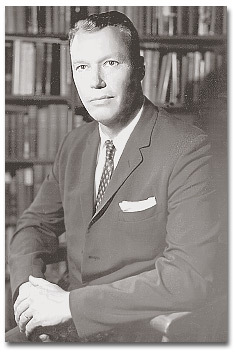 In 1974, Harrington was also a co-founder of Unitarian Universalist Advance that has held a series of conferences and published study papers on UU theology, denominational life, and social action. 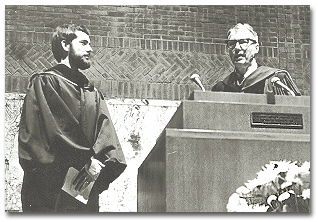 While a member of the Board of the Meadville Lombard Theological School, he was instrumental in supporting the work of the Institute for Religion in an Age of Science at Star Island and CASIRAS, the Center for Advanced Study in Religion and Science led by Ralph Burhoe, who was to receive the Templeton Award for his pioneering work in religion and science. Bruce Southworth and Don Harrington. Courtesy of the Community Church of New York. Don Harrington has three honorary degrees: a Doctorate in Sacred Theology from the Starr King School for the Ministry, a Doctor of Divinity from the Meadville Lombard Theological School, and a Doctor of Divinity Honoris Causa from the Ecumenical Theological Faculty of the University of Cluj-Kolzsvar in Romania. He has also received many other honors, including recognition from the Association of Asian Indians in North America for his many contributions to the well being of Asian Indians in this country and his longtime concern for the independence and progressive development of the Indian sub-continent. In addition to being a co-founder and first Chairperson of the American Committee on Africa, Harrington was Chair of the Planning Committee of the Commission to Study the Organization of Peace and served on the Policy Committee of the American Association for the United Nations. He was Chairman of the Council on International and Public Affairs, and for one year served as the executive secretary of the American chapter of the World Conference on Religion and Peace, on whose Board he also served. Other leadership responsibilities included the Citizens’ Committee on Police Practices and the Committee on Quality Integrated Education. His long-standing commitment to civil rights included marches and voter registration action in Alabama and Mississippi. In 1961 with the Ministers’ Vietnam Committee, he led the first anti-Vietnam War picket line outside the White House in Washington, DC during the Kennedy Presidency. Long believing in the importance of democratic, political action for a better society and for lasting human progress, Harrington was active in politics from the beginning of his ministry. An admirer of Norman Thomas and active with his Socialist Party from his days in Chicago, Harrington gave the Presidential nominating speech for Thomas in 1948. He became a member of the Liberal Party when he moved to New York and rose to the position of State Chairman serving in that capacity for twenty years, during its period of greatest accomplishment. He ran for Lt. Governor with Franklin Delano Roosevelt, Jr. as the party‚Äôs choice for Governor. In addition, he was elected delegate-at-large on the NY State Constitutional Convention and is credited with helping preserve the strict provision of separation of church and state. 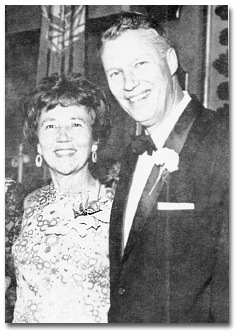 Don and Vilma at the banquet held at the Waldorf Astoria to celebrate the 25th anniversary of his ministry, in September 1969. There Joseph Clark presented him with the Publius Award of the United World Federalist and Mabel Gaidzik and Helen Schindler presented him with a leather bound book containing 360 letters of greetings from members of the congregation. Courtesy of the Community Church of New York. Dr. Harrington retired as Senior Minister of The Community Church in 1982 and became Minister Emeritus. His wife of 43 years, the Reverend Vilma Szantho Harrington, whose ministry included exceptional service with him on the ministerial staff of Community Church, died that October. In 1984, he married Aniko Szantho, the niece of Vilma. With her completion of theological studies and ordination in 1990 to the Unitarian Universalist ministry, she began service to several village congregations in Transylvania, and Dr. Harrington embarked on innovative economic development projects to assist the rural Unitarian villagers. In addition, he arranged numerous pilgrimage tours for North American Unitarian Universalists and expanded awareness of the historic connections to these liberal religious forebears. Under Rev. 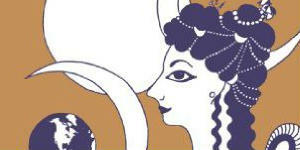 Aniko’s leadership, they have developed an extensive religious publication program in English and Hungarian languages. In the mid-1980’s, Dr. Harrington as Minister Emeritus, provided invaluable support in The Community Church’s efforts to overcome homophobia in the congregation, a painful chapter in that church’s history. Until his death, he continued to spend much of the year in Romania, working with younger generations of Unitarians on education and publishing projects. When in the United States, his spiritual insight, prophetic power, and vision remained evident when he preached—at least annually—at the Community Church. One of the most dynamic ministers of the last half of the 20th century, Donald Szantho Harrington’s prophetic voice and his leadership in worship, theology, and the wider community helped to shape the liberal religious path and institutions of today. Sometimes controversial because of his strong stands, he exemplified a life of religious commitment, spiritual growth, intellectual inquiry, and social action with an exceptional depth and breadth in his ministry, and with few peers in our history. Chandler, Daniel Ross. 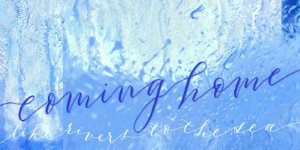 “Donald Szantho Harrington.” Religious Education, Vol.87, No.1, Winter, 1992.